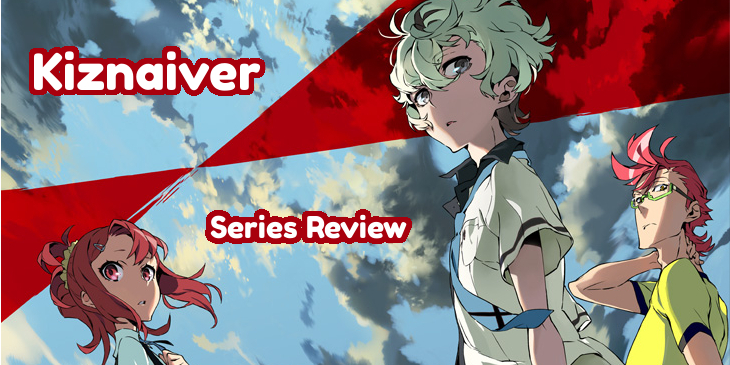 Kiznaiver is an intimate tale about the pains of growing up. It stumbles and meanders, but finds strength in its colorful characters. Katsuhira Agata is a boy who cannot feel pain, even when bullies beat him up for money. In fact, Katsuhira cannot feel anything at all. The mysterious Noriko tells him his lack of pain makes it harder for others to connect with him and offers a solution: the Kizna system. Through this system, Katsuhira and 6 of his classmates become Kiznaivers: teenagers that are connected by physical pain. The grasping hands add to the rave aesthetic of the OP while also reinforcing the linked pain motif of the show. The kaleidoscopic shots of the characters enhances the trippy vibe of the opening. I mentioned in my first look at this show that the opening was one of the things that had me hooked and it remains one of my favorite parts of the series. A good opening can make an impact and “Lay Your Hands On Me” exemplifies this. The rave vibe of the music with the kaliedoscopic visuals perfectly complements the show’s themes. Raves in media are often presented as a group of people connected perfectly by something deeper and more primal, usually triggered by the rhythm of music. This relates directly to the show ‘s main cast being directly connected by one of the most basic of human experiences: pain. This opening is excellently crafted beyond a surface level and has a spot as one of my favorite anime openings. The ED pairs each of the girls looking forlorn, paired with a flower conveying something about their pain or personality. The ending “Hajimari no Sokudo” is a lovely ballad featuring the ladies of Kiznaiver. Though it’s not a visual spectacle like the opening, there is still something going on. Between shots of the girls, there are stills of flowers on a white background and the girls holding them. The flowers have various meanings, from Nico’s bluebells referencing her love of fairies to Maki’s yellow chrysanthemum hinting at the slighted love from her past. It goes a bit beyond just being a pretty looking ending. Kiznaiver is nothing if not oozing with style. Beyond the opening, the visuals of the show can be breath-taking. There is extra care in the lighting of the scene, from the way the summer shade falls on character’s faces to way they’re backlit by sunsets. The character designs are also well-contrasted against the sterility of the artificial city. Each colorful outfit underscores just how different the characters are from each other. Their lines are clean when they’re in calm conversation, but the animator’s rougher style comes through in scenes of action, showing off their animating prowess. The lighting and shadow effects on scenes make an already beautiful show look stunning in key moments. Kiznaiver starts out strong and presents a cast of interesting characters, but doesn’t manage time well between them and the overarching plot. 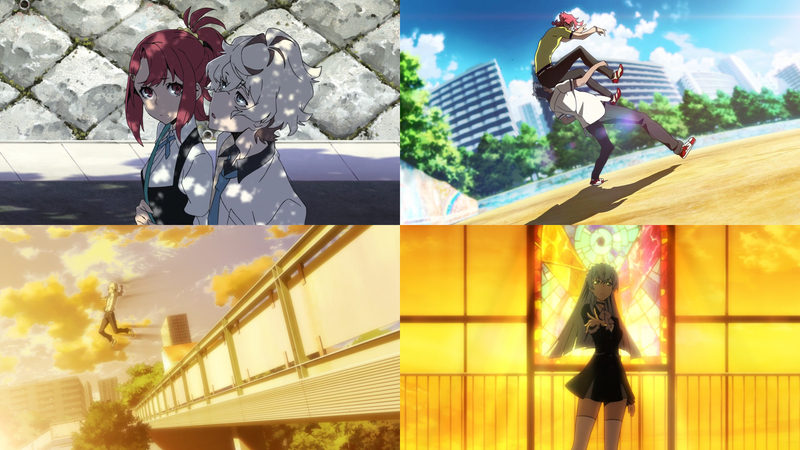 The first two episodes jump-start character development by cutting straight to the core of who these students are, but then starts to drag as the following repeat the point of the Kiznaiver system. 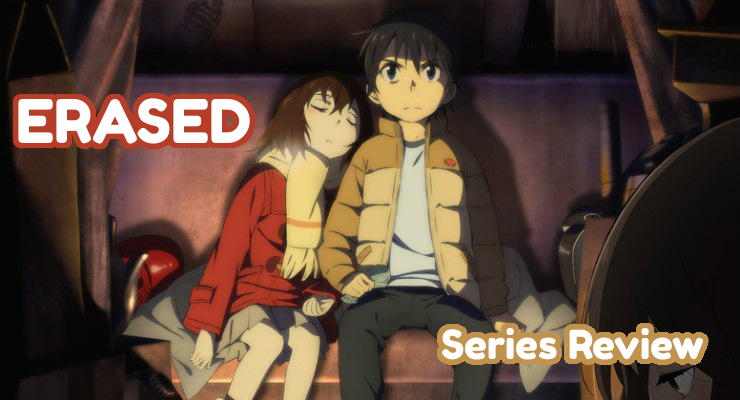 With only 12 episodes, this leaves Yuta and Hisomu underdeveloped compared to the rest of the cast. This also results in the last two episodes feeling rushed as the show remembers that it has to ramp up to the big Trigger finale. Though the climax isn’t as grandiose in scale as the studio’s other shows, it feels a bit big and overdramatic compared to the personal interactions seen throughout the rest of the episodes. These two boys don’t get much development beyond their backstories and it’s a shame. I wanted to know more about them as they grew on me over the course of the series. However, when Kiznaiver builds its personal interactions, it excels. The Kiznaiver system forces these conflicting personalities to work as a team, which provides some interesting conflict and some great bits of physical comedy. Because the first half of the show spends so much time building up the bonds between the cast, it hurts that much more when we see them start to fall apart. Even though the characters don’t always directly say why they’re upset, we can guess the answer from their previous interactions. It’s in these parts that Kiznaiver’s writing shines. If there were more of these moments and they were given more room to develop, this show might have been my favorite of the season. Charming moments like these were the show’s strong points and I wished they capitalized on them more. 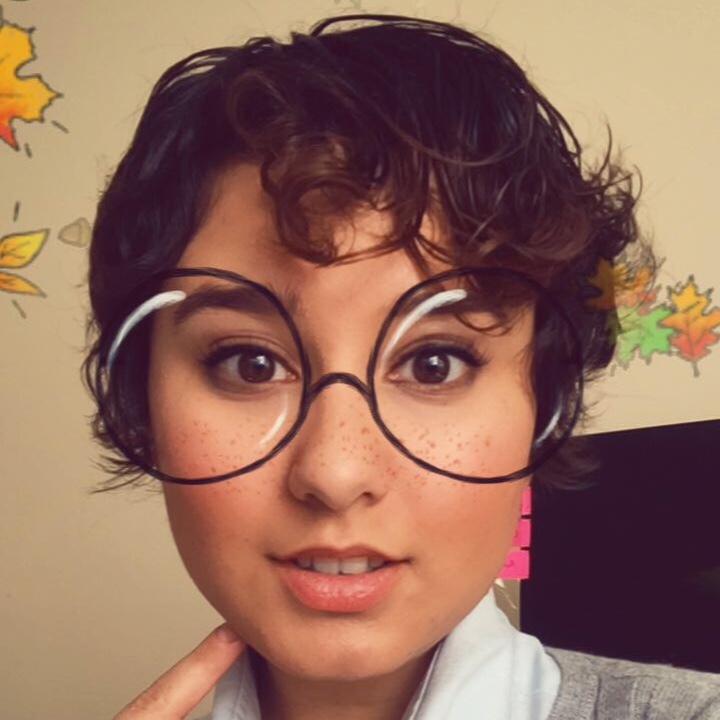 Review: 3/5, The show is beautiful and the characters are lovable, but it’s hard to ignore the inconsistent pacing and the characters that fall by the wayside.